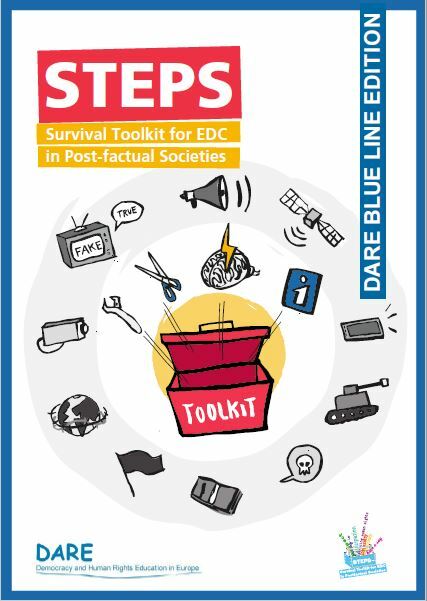 This issue of the DARE Blue Lines compiles methodological tools for educators in citizenship education for children aged 8-12. 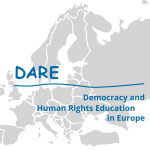 This issue of the DARE Blue Lines compiles the conceptual researches on citizenship education provisions for children aged 8-12 conducted in 6 countries. A new issue of the DARE BLUE LINES has been released. 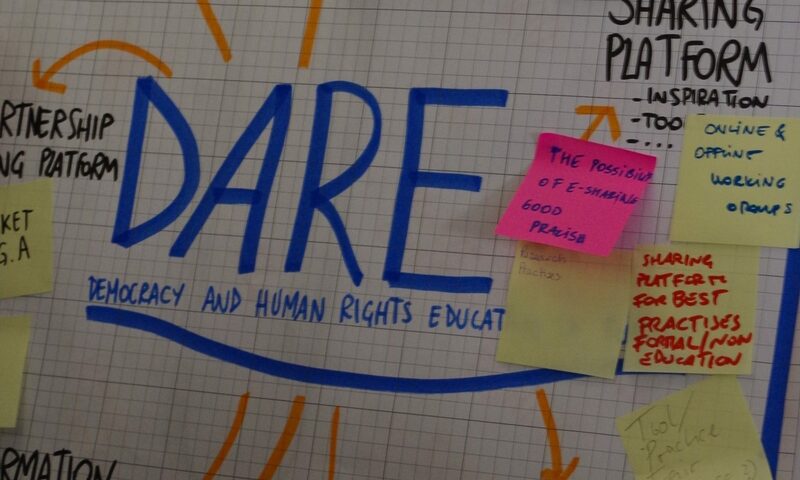 Titled “Innovative Approaches to Overcome Discrimination of Vulnerable Groups”, the brochure documents presentations, inputs and discussions from the 2013 DARE Spring Academy. More than 100 international practitioners, researchers and policy makers from the local, national and EU level came together to discuss international studies surveys like the International Civic and Citizenship Education Study (ICCS), trends in education policies in Europe, and European policy responses in active citizenship education. This European conference provided a forum for more than 170 stakeholders in field of Human Rights Education and Education for Democratic Citizenship (HRE/EDC), among them practitioners in formal and non-formal education, NGO activists, educational experts, political scientists and policy makers from various levels ranging from city councils to the European Parliament and the Council of Europe. The DARE focus meeting “Children’s Rights for Adult Learners” in Brussels (January 2010) explored the strategies of children’s rights education for adults, bearing in mind that it is mainly adults who in many cases protect and enforce children’s rights. Fourteen experts representing ten European organisations gathered for a two-day exchange of best practices and discussion of policy approaches in the field.